Google’s now annual hardware is almost here. In New York on Tuesday, October 9 at 11AM ET, the search giant will show off a new range of products dreamt up by the Made by Google team. We already have a good idea of the main attraction — the Google Pixel 3 series — but there’s still room for surprises when the event begins (and you can livestream it if you’re keen). Here’s what to expect from the Google Pixel 3 launch. 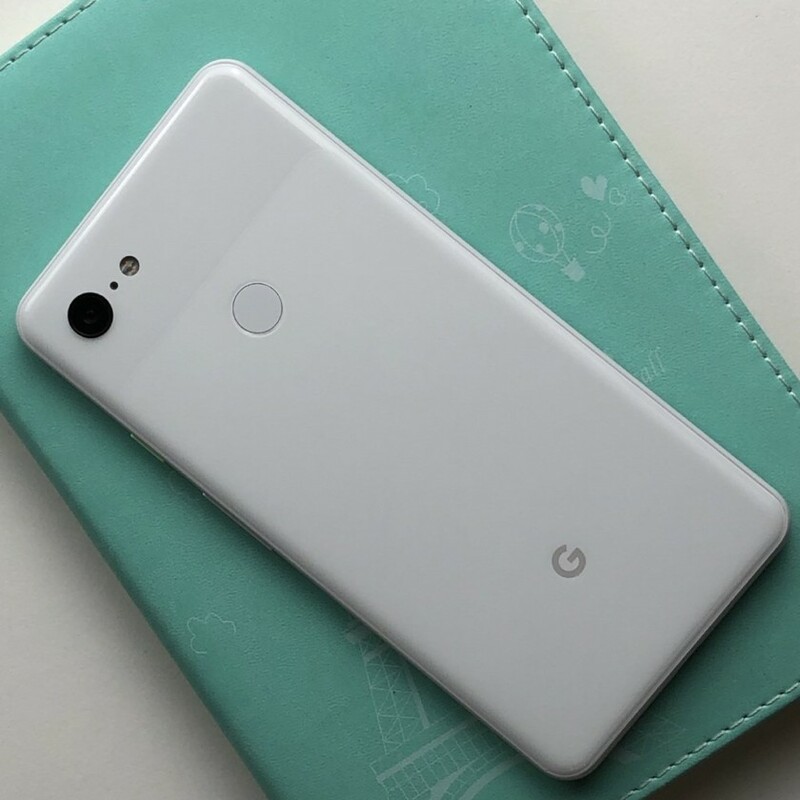 Following on from the Pixel 2 and Pixel 2 XL last year, the third-generation Pixel phones are something of a known quantity. Even if we hadn’t seen the Pixel 3 XL almost entirely laid bare in a seemingly endless parade of leaks, we’ve already settled into a tidy annual cycle of Pixel refreshes at Google’s October events. There’s also a fairly blatant sideways love heart on the official invite which is quite clearly meant to hint at the number three. As for the phones themselves, you can check out our rumor roundup here for all the details. The most significant upgrades over the Pixel 2 series are the expected jump to Qualcomm’s Snapdragon 845 processor and two front-facing cameras on the Pixel 3 XL. Otherwise, there’s a good chance what we’re going to see is a case of iteration of innovation, with slightly bolstered specs, Android Pie-powered software improvements, and likely a whole host of AI trickery. The fact that both devices are all-but-certain to look almost identical to their predecessors — bar that controversial (and enormous) Pixel 3 XL notch — is the biggest giveaway that you shouldn’t hold out hope for any wholesale changes for Google’s flagship phones. Announced at I/O 2018, Smart Displays are Google’s Assistant-powered answer to the Amazon Echo Show, but so far Google has left the new product range in the hands of third-party manufacturers. The Lenovo Smart Display kicked off the party in July, but it wasn’t quite the ‘Google Home with a Display’ experience that many had hoped for. That could all change with the launch of a Google-made Smart Display, as there’s mounting evidence to suggest that’s what we might get in New York. The latest leaks suggest this would be called the Google Home Hub and that it would offer voice control features similar to the Google Home smart speaker. This means organizing schedules and appointments, as well as offering smart home control. Naturally, the Home Hub would offer a more visual approach to answering questions, too. It’s reportedly available from October 22, so Google is likely to unveil it at the launch event on Tuesday. Best Buy has already sold an upgraded Chromecast to one customer, so we know it’s going to be officially announced at some point. Aside from a handful of aesthetic changes, we don’t know exactly what’s new just yet — the person who acquired the unit said they weren’t able to operate it until Google rolls out a software update. Nevertheless, the new Chromecast will apparently go on sale tomorrow; if it does, Google is guaranteed to discuss it at the event. It’s been a year since we first caught a glimpse of the successor to the ill-fated Chromebook Pixel and it’s fair to say that the Google Pixelbook has changed the way we look at Chromebooks. The traditional, cheap, student-friendly Chromebook is as popular as ever, but with the Pixelbook, Google introduced an elite $999 flagship device that set a new benchmark for the Chrome OS family. Some loved it, others questioned its mere existence, but there’s no denying it was an impressive, beautiful product with few undeniable flaws. That’s why it’s the perfect time for Google to release a refreshed Pixelbook this October, and based on recent rumblings, there’s every chance that’s exactly what will happen. There’s no denying the original Pixelbook was an impressive, beautiful product that had a few undeniable flaws and missing features. Feature-wise, the smart money is on the Pixelbook 2 being outfitted with a fingerprint sensor, thinner bezels, improved internals, and potentially a 4K display. If Google needs more inspiration it should maybe check out our suggestions here. There’s also a chance we’ll actually see two Pixelbook hardware revisions — one with a traditional laptop design and the other a detachable. Speculation regarding the latter device, purportedly called the Pixel Slate (seen above), has been mounting. This is tipped to be a Microsoft Surface-like tablet, coming with a 9- to 12-inch display and support for a stylus and keyboard. We should see Google reveal at least one Chrome OS product. Speaking of first-generation Google products that enjoyed a mixed reception and felt sorely lacking in some areas, we could also reportedly see new Pixel Buds in New York. We already know it’s very likely that the Pixel 3 and Pixel 3 XL will come bundled with USB-C earphones featuring a Pixel Buds-style design (seen above), but what about a true second-generation pair of Google’s wireless earphones? While the original Pixel Buds improved over time with updates, particularly with the addition of playback controls, there’s still plenty of room for improvement. Personally, I’d like to see a bump in audio quality, tweaks to the Google Translate functionality to more accurately reflect the Buds’ showcase last year, and potentially go fully wireless by ditching the wire that connects the two earbuds. The smartwatch sector may be in flux, but Google is still pressing forward undeterred with Wear OS. Following a comprehensive firmware update and tips from highly respected insiders, the time had seemed right for Google to release its own smartwatch, allegedly dubbed the Pixel Watch. Previous reports had suggested that as many as three watches — codenamed Ling, Triton, and Sardine — would be released alongside the Pixel 3. The watches had been expected to run on the latest version of Wear OS and feature Qualcomm’s upcoming Snapdragon Wear 3100 platform. There’s still a very good chance we’ll see at least one of these Google-made smartwatches at some point in the near future, but not tomorrow. What would you like to see at Google’s 2018 hardware event? Let us know in the comments.